This evening – or rather this morning in China – AMD is rolling out a new mid-to-entry level Radeon RX video card. Dubbed the Radeon RX 560 XT, the new part is a lower-tier Polaris 10-based card that’s designed to fill the gap between the RX 560 and the RX 570 in the Chinese market. This new SKU will only be sold in China – don’t expect to see it come to North America – with AMD’s close partner Sapphire being the sole vender of the card. 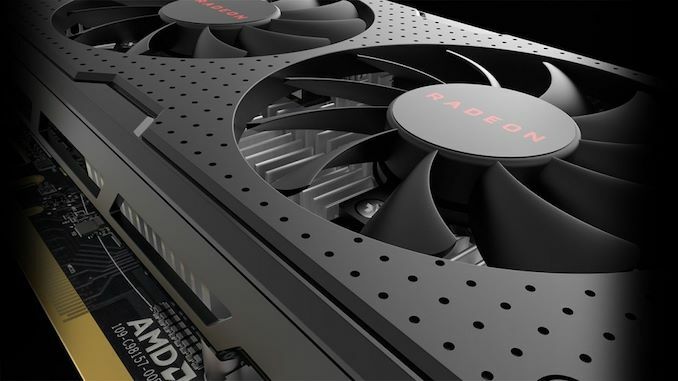 By the numbers, the Radeon RX 560 XT is a relatively straightforward cutting down of the Radeon RX 570, itself a cut-down Polaris 10 SKU. Relative to the 570, the 560 XT drops another 4 CUs, bringing it down to 28 CUs. Past that, the clockspeeds have also taken a hit; the 560 XT will top out at just 1073MHz for the boost clock, instead of 1244MHz like its fuller-fledged 570 sibling. So for shader and texture performance, it will deliver around 75% of the throughput of the RX 570. Meanwhile, although the card is taking a hit on the CU count, AMD has confirmed the card is retaining Polaris 10’s full 256-bit memory bus. This will be paired with GDDR5 running at 6.6Gbps, so there is a small step down in bandwidth. But overall it conserves most (~94%) of RX 570’s bandwidth, ensuring the card doesn’t end up bandwidth-starved as a theoretical 128-bit Polaris 10 would be. In either case, Sapphire will be offering cards with both 4GB and 8GB of VRAM, so there will be an 8GB premium option available for buyers who are nervous about 4GB cards coming up short. 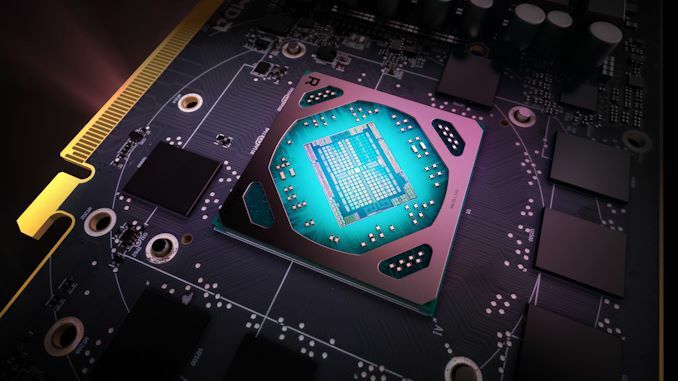 AMD has also confirmed that the new product retains Polaris 10's full 32 ROP backend, so its pixel throughput is only slightly diminished overall by the reduced clockspeeds (~86%). That AMD would go with 32 ROPs was not a given; AMD’s ROPs are not fully coupled to their memory controller, so they can scale them independently of the memory controller width. Typical Board Power (TBP) is also unchanged from the Radeon RX 570, with AMD holding it at 150W. While practical power consumption should be reduced some anyhow thanks to the fewer CUs and the lower clockspeeds, officially at least AMD isn't making any promises. Looking at the bigger picture, the RX 560 XT is designed to fill the gap between the RX 560 and RX 570 in AMD’s lineup, as the latter offers almost 2x (or more) of the performance of the RX 560 in almost every way. In practice I would expect a card with these specifications to pull a lot closer to the RX 570 than the RX 560, but we’ll have to see where real-world performance ends up. Meanwhile, besides being priced between the two cards, AMD wasn’t able to give me any more specific details on pricing, so I’d expect to see this priced somewhere north of 1000 CNY. Overall, AMD is no stranger to shipping China-specific mid-range and entry-level video card SKUs. Last fall the company started offering the Radeon RX 580 2048SP in China, so this will be the second regionally-limited Polaris 10 SKU that the company has put out. This is a practice that has been growing in popularity overall for both GPU vendors; the Chinese market as a whole is even more heavily weighted towards low-end and mid-range cards than western markets as fewer customers can afford to buy the high-end halo parts, so both vendors have been favoring creating smaller steps between products in this region. Similarly, being a humongous customer base within a single country, it allows AMD and NVIDIA to sell smaller volume parts – particularly salvaged GPUs that would otherwise go to waste – without the hassle of launching and supplying the product across multiple regions. A cut down model launched late in the product cycle generally is the chipmaker using up their dud dies ahead of their next product launch (Navi). Launching in only one region means they don't have a lot of dies that fit in the bucket and can't support a global launch.